Maybe the title should also read "Signs of Life." As in vital signs - breathing, the pulse etc... I love street signs. They create interesting patterns and they make random comments on life. Here is a picture that I took yesterday. It's outside of the Unicorn pub on Eglinton Ave. I have always liked the pattern created by the 3 signs and I love what they say. 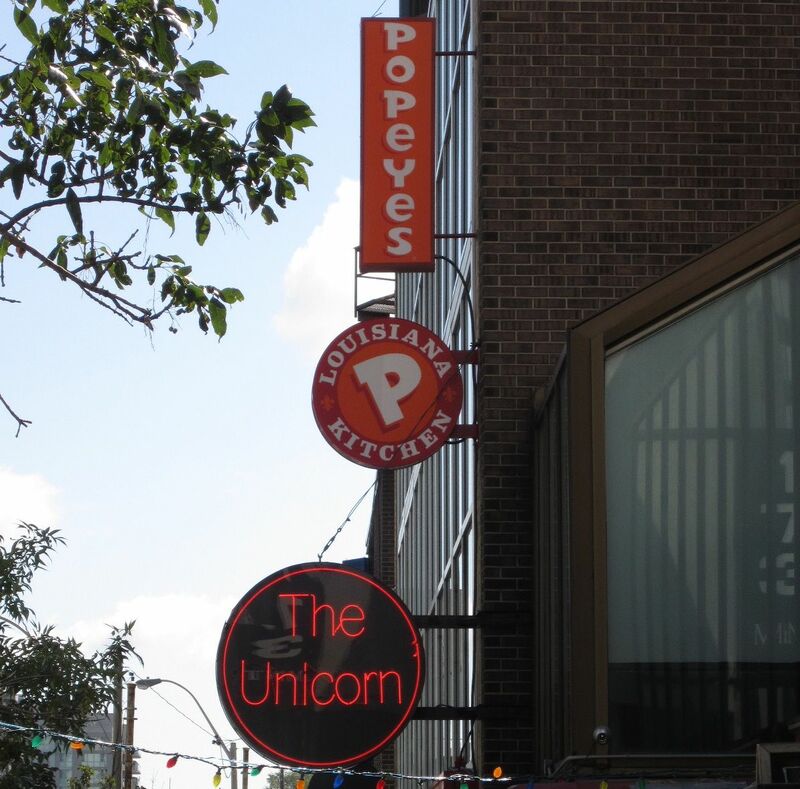 Could you write a story about a unicorn in a Louisiana kitchen that would pop your eyes? Then again could the unicorn just stand for something very unusual, almost magical. Louisiana cooking is Cajun. Some believe that the term actually came from a bastardization of Canadian - or Acadian - the poem, "Evangeline," comes to mind. Life in its randomness can be very chaotic. The fun is finding a meaning, within the maelstrom, that adds a layer of richness to our everyday lives. Today it was signs! Not a lot about knitting; but a little about divining the ordinary to find the amazing! !